a) deletions within human mitochondrial DNA (mtDNA) and viral genomes. b) insertions, e.g., duplications, in human mtDNA. 2. 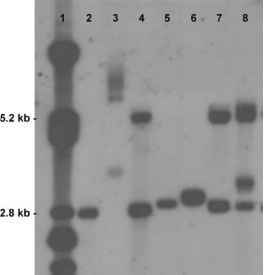 Chromosomal and genetic analysis of single cells for possible medical, forensic, and archaeological pur-poses. 3. Typing of genetic markers for genome diversity studies. 4. It has now been adapted to perform long-distance RT-PCR and long-distance vectorette PCR. 5. Fingerprinting of organisms by amplification of specific interspersed repetitive elements. 7. Analysis of viral heterogeneity to aid in drug design and viral association in certain disorders.